Welcome to the Museum Hof van Busleyden! 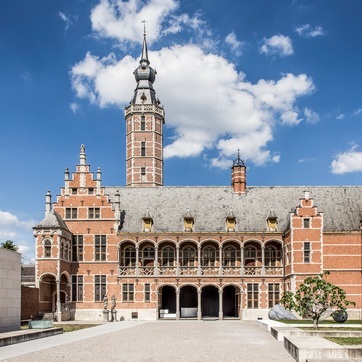 Step into this majestic and magnificent Renaissance palace in Mechelen, the capital of the Burgundian Netherlands. Follow in the footsteps of Hiëronymus van Busleyden, Margaret of Austria, Erasmus and Thomas More. Exchange ideas and reflect on our changing world, much like they did. We prefer small groups (maximum 15 people per tour) to ensure your comfort in the museum’s small rooms.